One of the greatest consoles ever to exist in the world of gaming is the PlayStation 3, which even lets you do a million different things unrelated to games. But no matter how big of PS3 fan you are, you have to admit that the internal browser is not the greatest. Far from it. 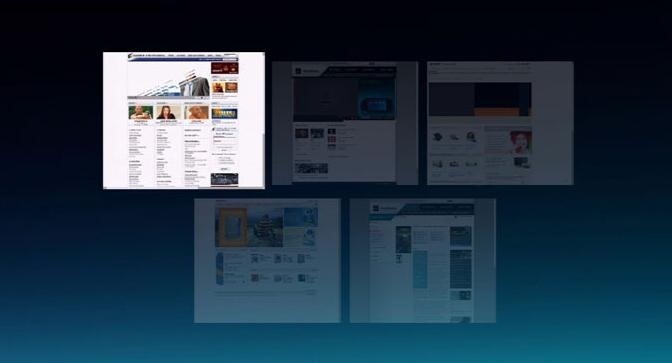 While you can access most websites from the PS3, a lot of those site's functions are limited, including Facebook. After reaching over one billion users earlier this month, Facebook is undoubtedly one of the most popular sites ever. While the PS3 does have some Facebook integration, it's extremely basic and does not provide any real Facebook features. One of Facebook's most used features is their chat system, so why is Sony not trying to accommodate this? If you want to use Facebook chat on your PS3, you have probably searched the web for answers. But like most things on the internet, 77 percent of the facts are made up. After testing out all of the suggested fixes, I'll separate myth from truth. The internal browser on the PS3 does connect to Facebook, as you can tell above, but chatting is disabled. A lot of folks are actually suggesting that you can simply visit the mobile Facebook page at m.facebook.com and chat will miraculously appear. If you have an Android, iPhone or iPad, you can easily chat, but you're out of luck for any other device, including your PS3. But the mobile version is much faster than the regular Facebook page on the PlayStation 3, so if have to use Facebook on your PS3, mobile is the more suitable route. AIM Express can be directly connected to your Facebook account. So, once you are inside of AIM Express you can chat with Facebook friends, Google contacts, and so on. According to the following video, you can open up AIM right inside the PS3 browser. Haha! I am laughing because I'm confused. There is a Facebook application for the PS Vita, but nothing for the PS3, Sony's most popular and most expensive gaming device. Could a Facebook application solve a lot of the problems users are having with the browser? Probably. But hey, what do I know? So, chatting via a Facebook App is definitely false because it doesn't even exist, kinda like unicorns. The mobile version of eBuddy.com is compatible with the PS3 software. There is no app to download or settings to fudge around with. Just search for eBuddy in the PS3 browser. It gives you access to some of the most popular chat sites, like AIM, MSN, and Facebook. Once you log into to your chosen account, your available friends will show up in a sidebar. Make sure that you have enabled Facebook chatting, which you can do from your laptop or desktop at anytime. Simply click on a friend and then click inside the chat bubble to open up the PS3 keyboard. Type whatever you want and then hit little play button in the bottom right corner to send it. With eBuddy, you can finally Facebook chat with your friends. It does run a little slow at times, but its better than nothing. Of course, you could always just chat on your phone or computer when you're gaming. Ever think of that? If you have any other PS3 Facebook myths or truths that we haven't covered, let us know below!